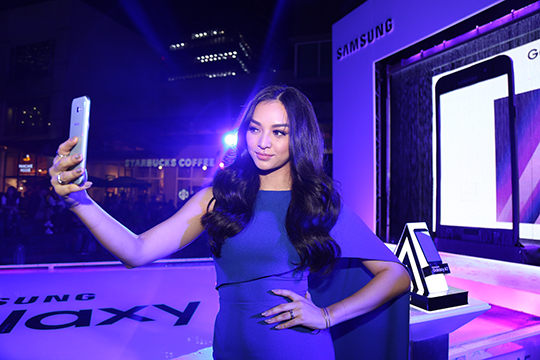 On January 20, 2017 an expectant crowd witnessed the grand reveal of Samsung's newest smartphones - the Galaxy A Series (2017) at the Bonifacio Global City, the epicenter of action. The brand's latest release was introduced through a unique water and lights spectacle, as well as the bold entrance of Samsung's newest brand ambassador, Kylie Verzosa, the reigning Ms. International 2016. It was topped off with world class dance group GForce's fiery performance that made a splash on the stage's pool of water. It was an innovative display running on high-octane energy and a lot of attitude - a perfect way to introduce the Galaxy A Series (2017), the smartphone with attitude. As evening fell, a large stage on Bonifacio High Street came to life with a water curtain. Later on, the screen flashed a countdown, with the emphasis on the numbers 5 and 7. As the audience stood mesmerized by the dazzling light and water play, the water displayed revealed the star of the show - the Galaxy A5 (2017) and the Galaxy A7 (2017) smartphones. For the next moments, winning features of this year's Galaxy A Series phones such as the water and dust resistance as well as its high-resolution camera were flashed on the screen, enthralling the audience right before brand ambassador Kylie Verzosa and dance group GForce took the stage. With the freedom to make the most out of every situation, the event showcases just how the Galaxy A Series (2017) lets you make the most out of life's experiences, thanks to its IP68 dust and water resistance and 16MP front and rear cameras that truly captures priceless moments. Just like the Galaxy A Series (2017), Kylie is smart, stylish, and always ahead of the game. Kylie best suits the title as its new ambassador as she's also known for her winning ways even under pressure; comparable to how the Galaxy A Series (2017) is packed with premium features that stand out, even when faced with challenges of rain, sweat, sand, or dust. She is constantly seeking to do more - whether as a beauty queen, a teacher, a corporate warrior, or as somebody who's ready to dive in and take on any adventure that life throws her way. As a role model to many millennials, she embodies flexibility and she doesn't settle for anything less than the best - exactly how the Galaxy A Series (2017) is positioned in the market. 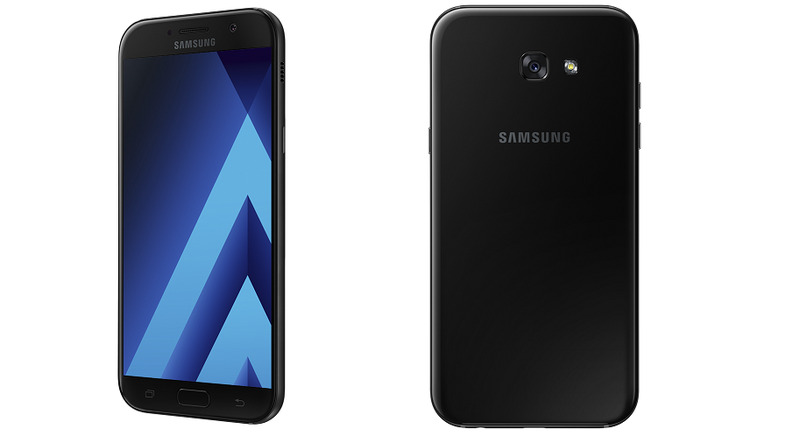 The Galaxy A7 (2017) will come in three colors - Gold Sand, Black Sky, and the new Blue Mist - and it has a 5.7-inch Super AMOLED screen, while the Galaxy A5 (2017) will have 2 colors - Gold Sand and Black Sky - and it has a 5.2-inch screen. Both, however, will come equipped with trademark premium features, plus a few new ones as well. Similar to the Galaxy S7 and S7 edge, both of these new devices have IP68 certification which again make them water and dust resistant. This means that the phone can withstand being submerged in up to 1.5 meters of fresh water for up to 30 minutes. The phones come with a large 16MP high-resolution front and rear cameras that can beautifully captures images, even in low-light conditions with its f/1.9 aperture. They also boast 32GB internal storage, expandable up to 256GB, for all those photos and videos to keep. Ultra flexible with a dual socket for 2 SIM cards and a microSD, the phones also come with fast-charging and long-lasting batteries for hours of active use. A reversible USB Type-C port makes for easy connectivity and hassle-free charging. The powerful performance is encased in a metal frame and 3D glass black that stays true to Samsung's premium and seamless design. Given all these top-notch features and premium design, one would expect a heavy price tag. 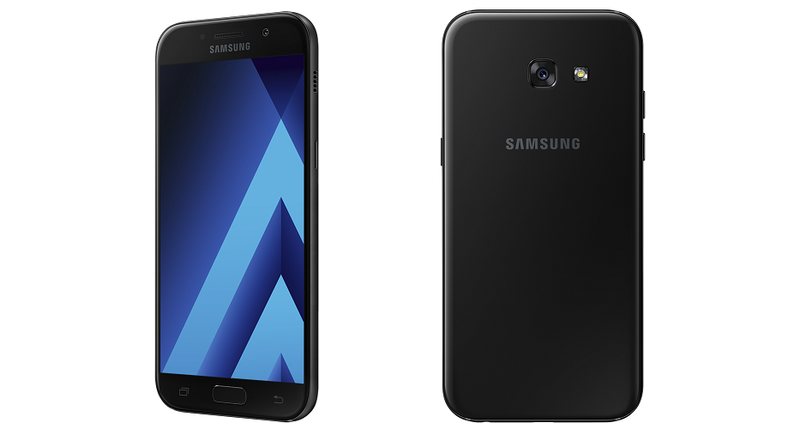 However, the Samsung Galaxy A Series (2017) smartphones are a complete steal, with the Galaxy A5 (2017) retailing at Php19,990, and the Galaxy A7 (2017) at Php23,990, making each one a top-of-the-line smartphone within reach. Stay ahead of the official store release of the Galaxy A6 (2017) and Galaxy A7 (2017) on January 28, 2017 in the Philippines by checking them out on Lazada.